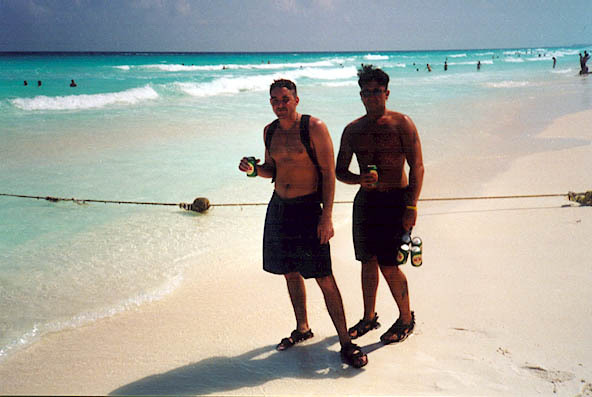 Jamie and I taking a walk down the beach with a backpack full of beer. It was so hot by the time we walked about 50 yards our beer was warm. That didn't stop us from drinking them though.